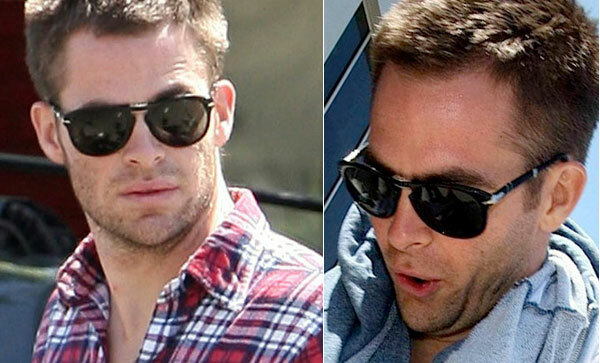 I think it’s safe to say that not many people are able to pull off wearing the iconic wayfarer style sunglasses successfully, but Chris Pine, best known for his recent role as USS Enterprise Captain James T. Kirk in J.J. Abrams summer 2009 movie blockbuster Star Trek, is one of the lucky few that suits the style perfectly. Chris wears Persol 0714 ‘Fold Away’ Sunglasses. Available for £255.60. These sunglasses fold away neatly into a pocket sized leather case. 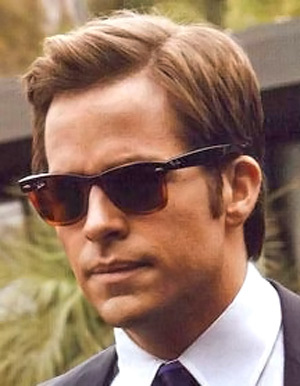 Chris also wears the Ray-Ban 2143 ‘Wayfarer’ Style Sunglasses (colour code: 970) with the black top and tortoise bottoms – a fantastic accessory perfect for all those movie premiere events! Available for £122.20. These sunglasses are both available with prescription lenses for an additional £30.